What makes ouzo MINI of Mytilene unique, is/are the 17 secret recipes of its producers and the fact that they are all combined in one. 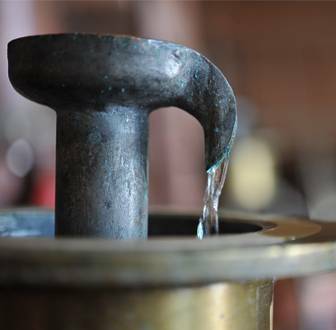 One recipe that is kept unaltered through time and contains the distillers’ expertise and know how. A recipe which, combined with the special aromatic herbs of Lesvos and aniseed from the location of Lisborio, creates the favourite across the country ouzo, ouzo MINI of Mytilene. 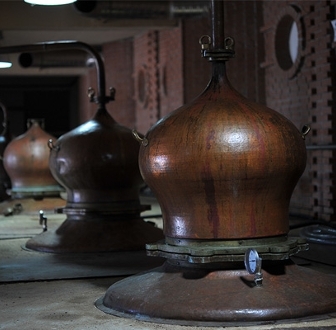 In the traditional copper pots of EPOM distilleries, a solution of alcohol and water is kept for hours with seeds, local aromatic herbs and plants, along with the famous aniseed from Lisvorio and the unique mastic from the island of Chios. 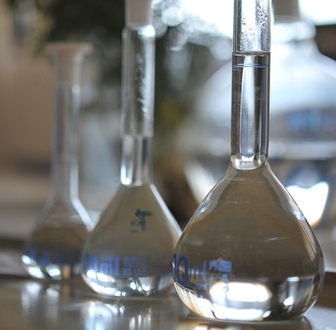 Then, the solution is distilled slowly and carefully and is subject to continuous tests. This distillation is called "the heart".Before ending up in bottles, "the heart" is diluted with soft water coming from the best fountains, so that the Ouzo MINI of Mytilene acquires the desired alcoholic strength.It is fair to describe Ouzo MINI of Mytilene as the smoothest and most mellow ouzo because its ingredients, among which the most dominant is the anise from Lisvorio, are still as pure and of high quality as they have been for years.Nothing has changed in the traditional copper still pots; nothing has changed in the persistent and fascinating distillation process and production. This is what makes Ouzo MINI of Mytilene so distinctive. Ouzo MINI of Mytilene is produced by exclusively selected anise from Lisvori. The best anise in the world! Lesvos island is famous for its temperate climate. A lot of sun and constant rainfall. The conditions are ideal to grow the unique anise from Lisvori - or "the smell" as local people call it. Lisvori is a village in the southern part of the island, well-known as it is considered to produce the best anise in the world, due to the excellent conditions of its soil. It is actually the anise which stands out due to its unique aroma.Since its foundation EPOM firmly collaborates with all small family-producers from Lisvori and buys from them the best anise. 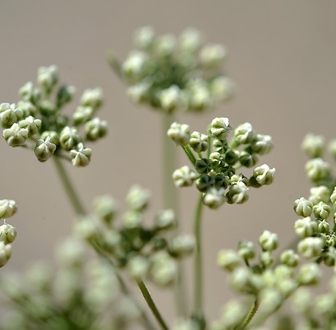 The sowing of anise takes place every year, during November and December. Its development depends on the weather conditions that prevail each year, as well as on the amount of rain. The anise harvest, late July - beginning of August, takes place with harvesters and is similar to the one of wheat. Then anise dries in the sun and is rubbed in order to give the main seed. 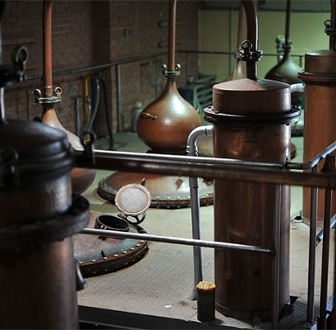 After the seed is dried, is then hand selected one by one, before the distillation is about to start. No machine can replace this kind of manual work. 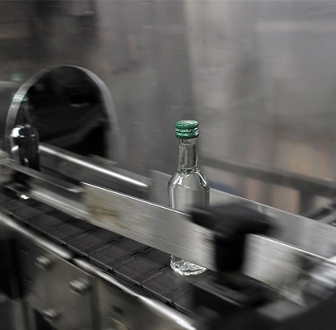 If one had to choose the most important factor of ouzo MINI of Mytilene’s long tradition and successful presence in the Greek market, this would be definitely the passion and the care of people in each stage of its production, from the raw materials’ harvest to its final packaging and distribution to consumers. All anise farmers, as well as the rest people who are involved in the production process, act as a family, the family of ouzo MINI of Mytilene, who ensures that it will be always the same, soft and smooth ouzo of excellent quality that reaches our glasses.